Valentino Rossi will not get a special mission to help Maverick Vinales in the rest of the season. 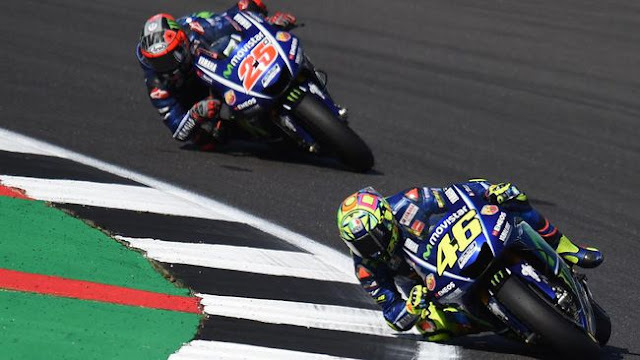 Manager Yamaha Team Movistar, Massimo Meregalli said there would be no special orders from the team for Valentino Rossi that he helped Maverick Vinales finished this season's MotoGP world championship. Vinales is currently in third place with 196 points, trailing from Marc Marquez by 28 points. While Rossi is ranked fifth with a value of 168 points, lagging 56 points from Marquez. With these conditions, Vinales opportunity to hunt for world championship title is greater than Rossi. But Yamaha will not issue special orders in the form of a mission to help Vinales in the rest of the season. "We've never done that in the past and we will not take that into consideration at the moment." 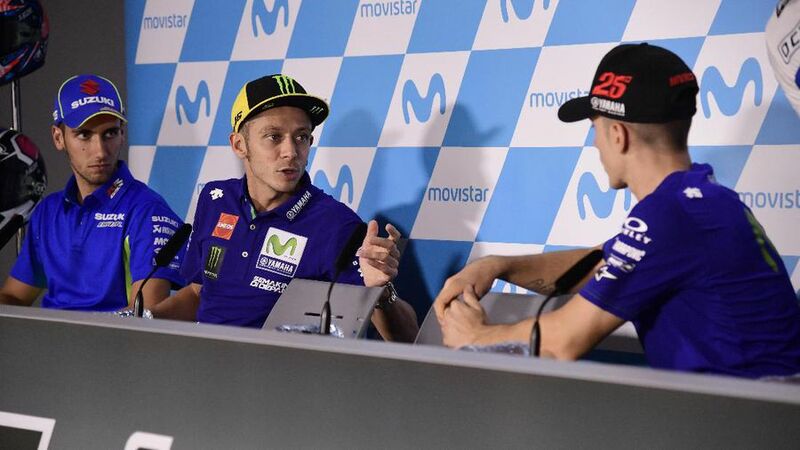 "The best thing we might do is to tell Valentino Rossi not to get in the way of Maverick Vinales if he has the ability to pass Rossi in the race," Meregalli said as quoted by Tuttomotoriweb. Meregalli also said his team is still optimistic to catch up from Marquez. Meregalli did not consider the Japanese GP as Vinales' last chance to compete with Marquez. "The Japanese GP is only one of the last few series, I do not think the series is the last chance." "In pre-season test sessions, Vinales can perform strongly in Australia and Malaysia," said Meregalli.